What is it about the 4th of July that makes everybody want to wear their holiday spirit on their sleeve? We don’t know, but we love it. 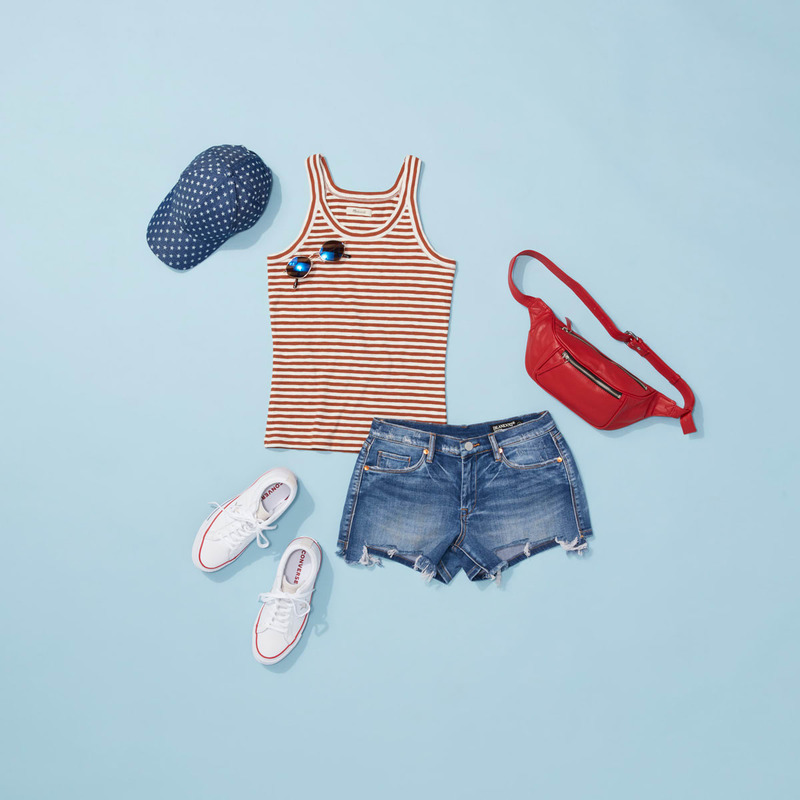 So in that, well, spirit, we’ll show you three different ways to incorporate red, white, and blue into your outfit, no matter how you plan on celebrating Independence Day. Scroll on to get inspired with three different all-American outfits. 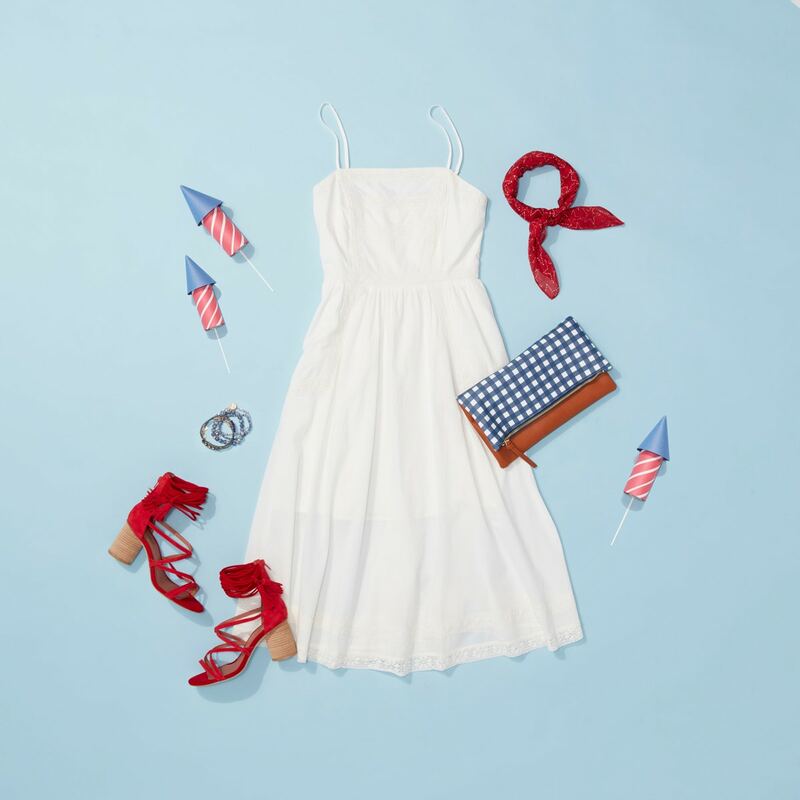 Nothing says summer quite like a crisp white sundress. 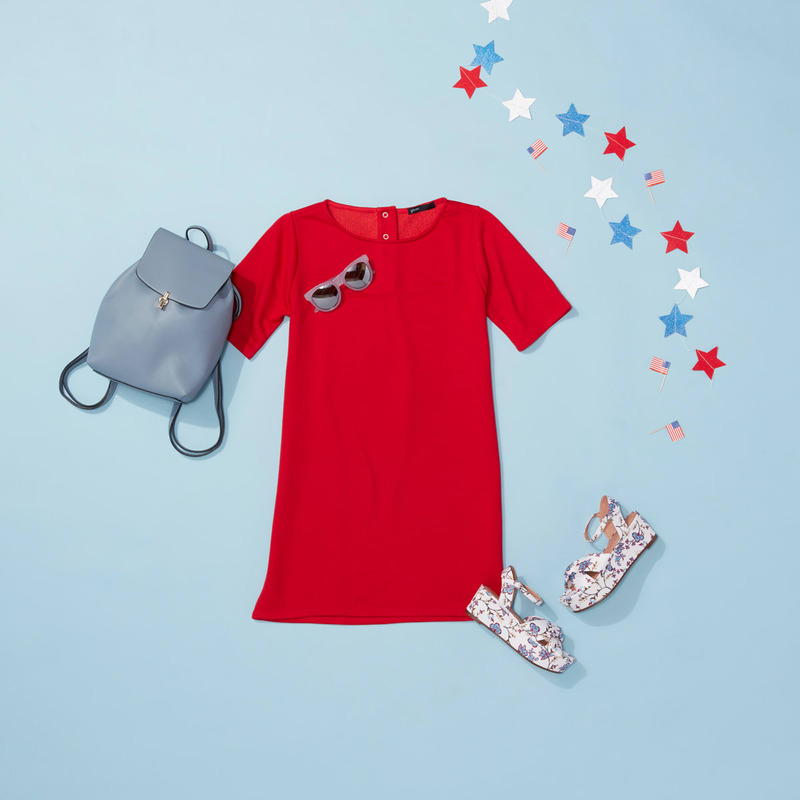 Stick to the holiday theme by pairing your frock with flares of red and blue—bold sandals and colorful accessories are the easiest (and most stylish) way to get into the spirit. Who knew color-blocking could be so fun? 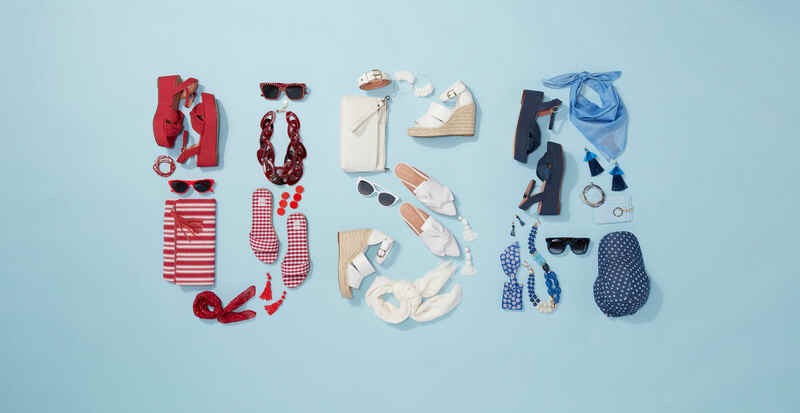 For a modern approach to your 4th of July ‘fit, opt for solid pieces all in the right color palette. Then choose a playful pattern in coordinating hues to keep your ensemble cohesive. If your holiday vibe is more laid-back and simple, then you can’t go wrong with the classic tank-and-shorts combo. Play up the patriotism by using the American flag as inspiration and incorporating some stripes and stars.